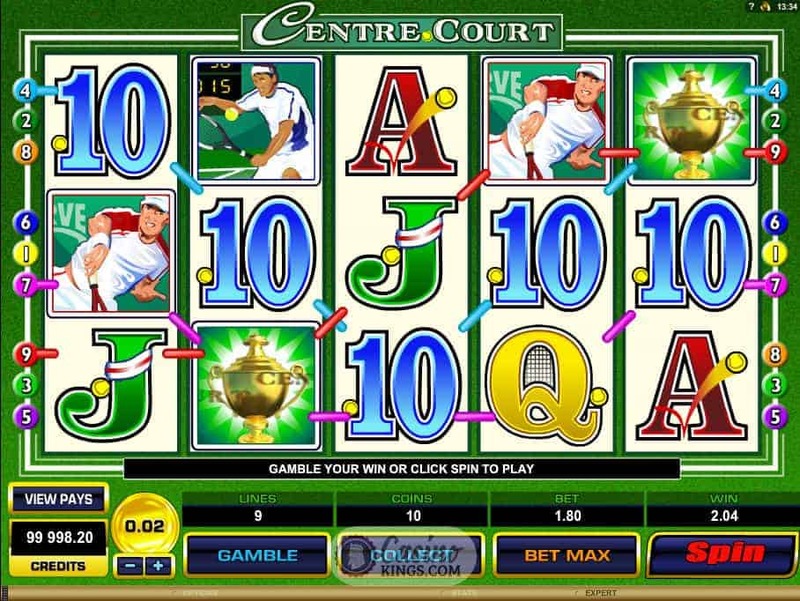 The Centre Court slot game is brought to us by gaming behemoth Microgaming – the outfit behind such classic sporting slots as Football Star and Break Away – clearly agree with Krznaric and have developed Centre Court as a gamer’s ode to, well…the beautiful game. 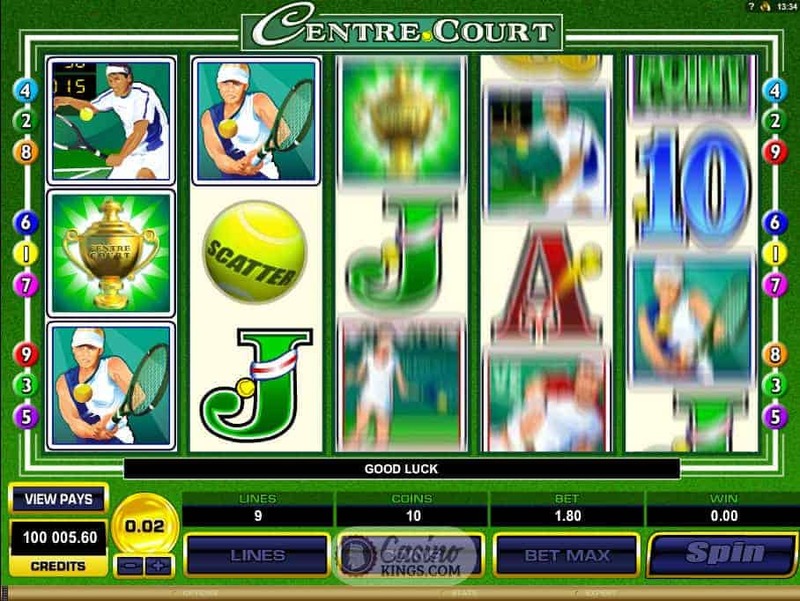 The good news for us gamers is that not only is it an intensely playable five reel, 9 payline slots outing, it’s also markedly better than Hollywood’s ode to tennis, also titled Centre Court and starring Kirsten Dunst. That’s already one bonus feature that we can celebrate. The likelihood is that if you are a tennis fan you will love the classic feel to this game, but there is also plenty for non-tennis lovers – or all you “Meh” people out there (you know if I’m talking about you). First off, there is the artwork. Comic-strip style shots of tennis action set to a tune that could be Air or Groove Armada. It’s so listenable that I tried to Shazam it. The lilting music is only interrupted for game time, and when it’s game time we have to be true sportsmen and women and get our game faces on, brah. The Champions Cup is what we want to get our hands on so sits well as our Wild symbol, and substitutes for all symbols except the Tennis Ball Scatter that lands with a satisfying SLAP and launches the Free Spins bonus feature. 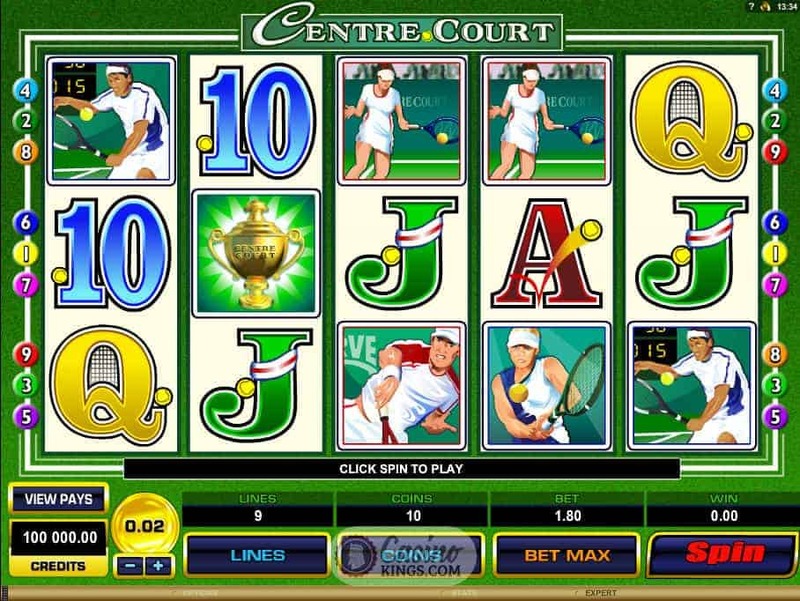 Naturally, the Match Point symbol is the highest paying symbol, offering 800 coins from five across a winning payline. 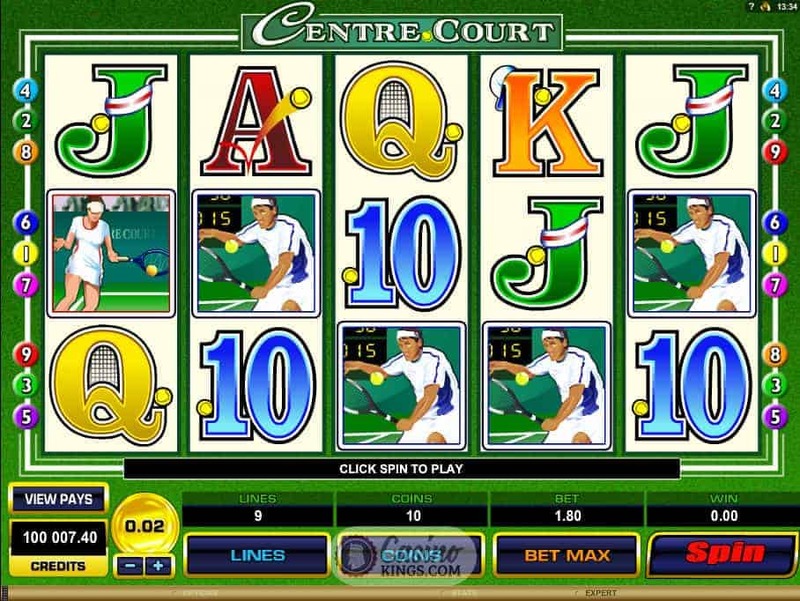 Landing three or more Tennis Ball Scatters triggers the Free Spins Centre Court slot bonus feature, awarding 18 free spins. 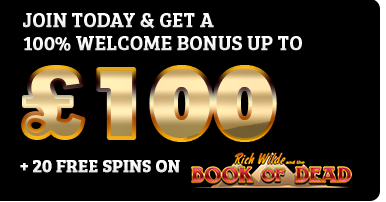 Like a Wild Card at a major tennis tournament, a mystery multiplier between x2 and x5 applies for every spin during the Free Spins round. Who needs Nadal v Federer 2008 when we’ve got action like that? 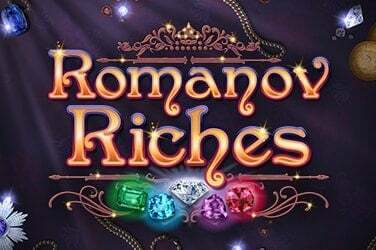 Microgaming have never been averse to a good Gamble Feature, and they include one here that is as well thought out a feature as you will find. Rather than a standard card flip set-up, the Game Logo-branded deck of cards sits in the centre of a tennis court. 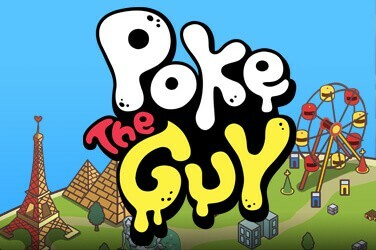 The colour choices – Red or Black – sit in one player’s end while the suit choices sit in the opposite end. 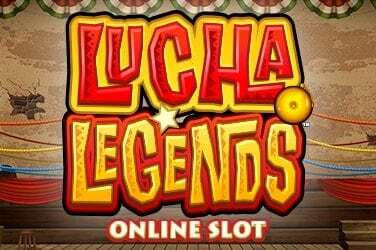 It is such a simple redesigning but it is this attention to detail that often sets Microgaming slots apart from the crowd. As a result, we are never tired of revisiting this particular bonus feature: a masterstroke. If you’re worried that you won’t like the centre court slot because you aren’t really a huge fan of tennis, don’t be. 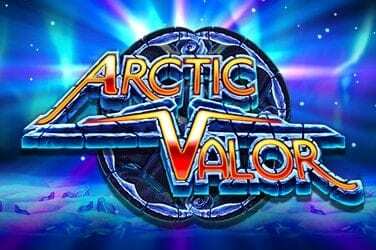 The neatly drawn comic-strips and incredible music make the sport almost incidental to the game, while the bonus features hold their own amongst any other slot online. And not a Kirsten Dunst in site.